To maintain a successful business, you need to maintain a business that looks sharp and beautiful. If your Toronto business sports metal siding, then the process of maintaining its sharpness and beauty can involve metal siding painting services over time. If you’re in the market for a professional metal siding painting, call Toronto’s experienced industrial painters at Diotte Coating Services. If you want your Toronto business to be a success, it needs to be able to attract new customers. Of course, if your business’ metal siding sports a fading, flaking paint job, you might experience a dip rather than growth in your customer base. Luckily, if your Toronto business is in the kind of shape that might only deter customers, you don’t have to worry. Instead, you can call our experienced team of painters, and with our metal siding painting service, we’ll get boost your business’ curb appeal, helping you to draw in the customers you need for your business to thrive. All of these problems can lead to a decidedly unsafe work environment for you and your employees. 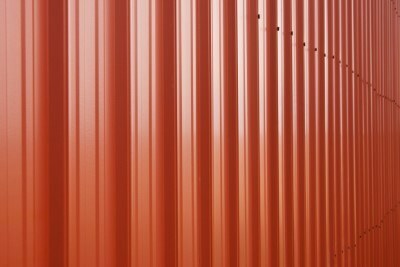 To keep your business as safe and protected as possible, call the industrial painting contractors at Diotte Coating Services when your business’ metal siding needs a fresh painting. If you are looking for a Toronto metal siding painting company, please call 905-259-2927 or complete our online request form.